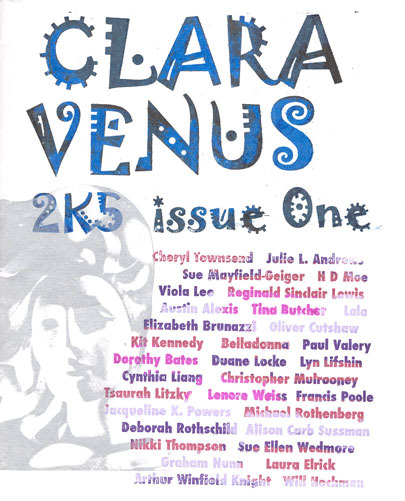 Clara Venus is published annually in April, and accepts submissions of poetry, flash fiction, photos, and black-and-white art year round. It's $6.99 per issue, or $15 for a subscription. Write to RedHandPress@hotmail.com, or ATTN: Marie Kazalia, Red Hand Press, P.O. Box 422344, San Francisco, CA 94143-2344. And be sure to check out these samples.